the cardinal flower: Did you know? 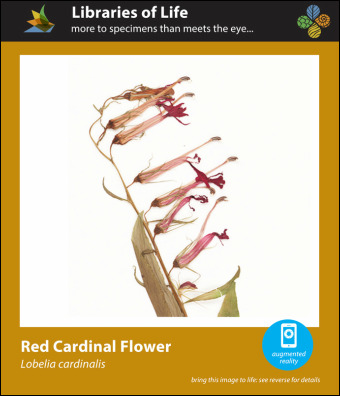 Digitized Lobelia cardinalis specimens in biological collections. The cardinal flower (Lobelia cardinalis) is an herbaceous plant in the Bellflower family (Campanulaceae). It is native to much of North America from New Brunswick to Minnesota and south to the Gulf of Mexico. It grows in wet habitats, such as swamp margins and river banks, and produces flowers in the mid to late summer. The cardinal flower is pollinated by the ruby-throated hummingbird and is an important source of nectar for this bird. As the climate changes, plant and anima﻿l behaviors may be altered, which could lead to asynchrony between plant flowering times and the presence of important pollinators, such as migrating birds. 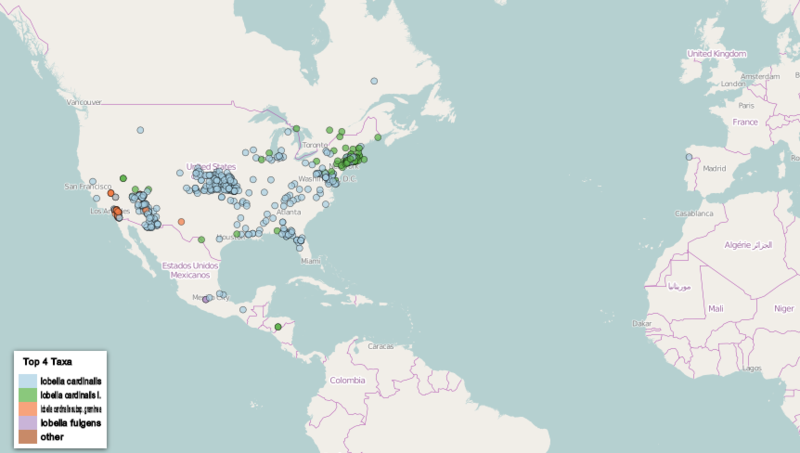 To help scientists better understand how plants are responding to climate change, the New England Vascular Plants Thematic Collections Network (NEVP TCN) aims to digitize over a million herbarium specimens to create a data set for the study of climate change and land use history in New England.